Call (919) 465-3907 and Let's Get Started! Avoid Summer Learning Loss and Get Ahead for Next School Year! Create your own Summer Math Camp with our Flexible Enrollment and Attendance Options! Schedule your Free Math Skills Assessment today. My child is great at Math! Why should they attend Mathnasium of Apex? This is a great question! The Mathnasium of Apex works with students of all skill levels and capabilities. Children that really love and excel at math, are in advanced classes, or have a naturally mathematic and scientific mind need a place to go to STIMULATE their INQUISITIVE BRAINS! Mathnasium of Apex has programs specifically designed for gifted children. First we assess your child's math skills, then we create a customized learning plan, and finally we teach for understanding. We work independently from the schools so there's no limit to what your child can learn! 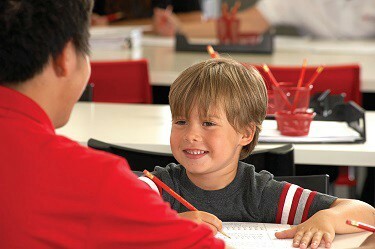 We can stimulate, nurture, and challenge your child's natural love of mathematics! Our instructors quickly come back after a minute or two to make sure they are doing the problems correctly, give them encouragement, and praise them for their efforts! If the student needs more math help we simply teach the lesson again in a different way without judgment or ridicule until they "get it." This enables your child to become a confident, independent learner. If this what you want for your child - It's easy to get started! What grade are is your child in?